In a little bit of an anticlimax after yesterday’s dramatic developments, there was some more good news for the Lago Agrio plaintiffs today. Judge Kaplan denied Chevron’s motion for an attachment. Recall that Chevron had sued Donziger (the Lago Agrio plaintiff’s US lawyer) and several of the Lago Agrio plaintiffs themselves for RICO violations and on various other theories. Chevron at first had the Lago Agrio plaintiffs on the ropes, with Judge Kaplan enjoining them from seeking to enforce the Ecuadoran judgment anywhere in the world (and thus asserting that he thought Chevron had a sufficient likelihood of success on the merits to justify the injunction). 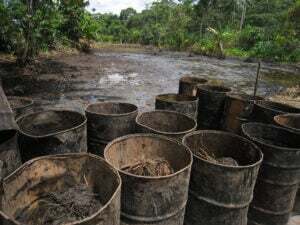 Chevron had also asked the judge to attach the defendants’ assets to the amount of three times the damages the Ecuadoran court had awarded (the RICO statute permits treble damages). As we know, the Second Circuit later vacated the injunction. And today, Judge Kaplan denied the request for an attachment on the grounds that whatever Chevron’s likelihood of success on the merits, it had not shown that it had been damaged by the Lago Agrio plaintiffs. This stands to reason—Chevron hasn’t paid any of the judgment, and though it has incurred attorney’s fees, it did not quantify them for the court (nor is it immediately clear to me that its fees would be recoverable in this context, though perhaps they would). So even if Judge Kaplan believed, in the abstract, that Chevron was likely to prevail, Chevron had not shown that it was likely to suffer an injury in any particular amount.